Now, as for catching the 28 Jan session, you could watch it on this blog, but it would be better to go to DearMYRTLE's Genealogy Community on Google+, where members may VIEW and COMMENT before, during and after the study group broadcast by going to http://bit.ly/MyrtsNext . (Head over soon, so +Cousin Russ or Ol' Myrt here have time to accept your request to join the community. BEGINNING GENEALOGY STUDY GROUP with DearMYRTLE and Cousin Russ. 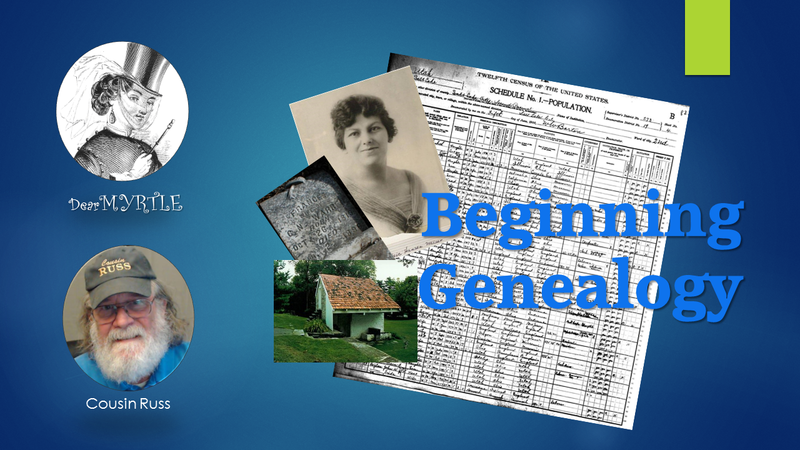 An empowering 20-week genealogy class, using online syllabus materials, with sample documents from each record group discussed.